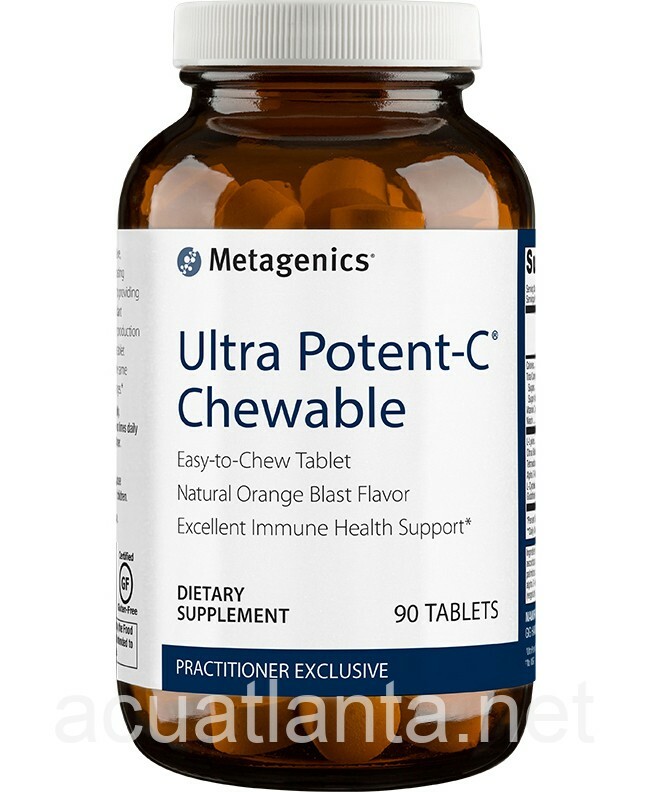 Ultra Potent-C Chewable provides 250mg of vitamin C, which supports normal immune function. 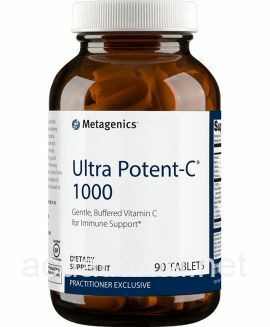 Ultra Potent-C Chewable is recommended for children wishing to increase their intake of vitamin C in chewable form. 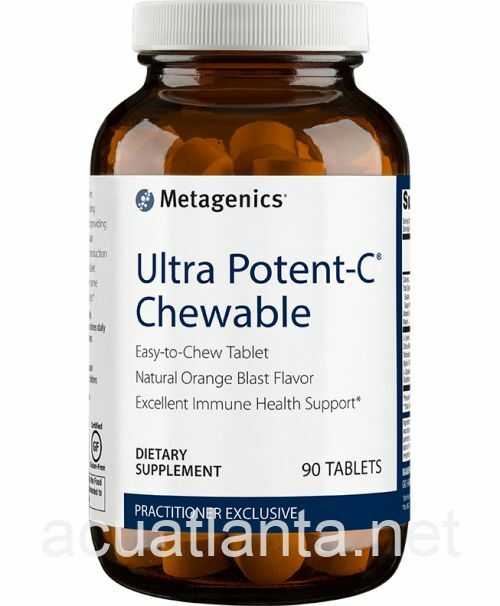 Ultra Potent-C Chewable is part of Metagenics Children's Health product line. 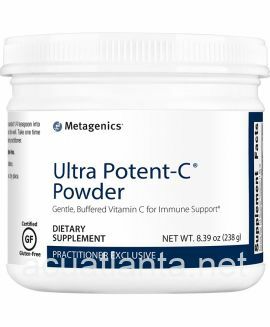 Ultra Potent-C Chewable provides the vitamin C equivalent of four oranges, but in a convenient chewable form that provides 250 mg of vitamin C per serving. Vitamin C supports normal white blood cell function including natural killer cell activity. 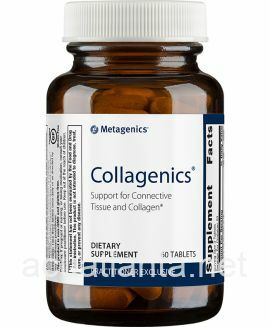 Vitamin C also provides antioxidant support and supports normal collagen production. 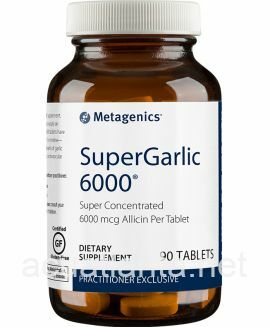 This formula also provides niacin, which supports cholesterol levels within the normal range. This product is ideal for kids or adults who would rather not swallow tablets or capsules. Children 2 to 7 years: One tablet daily. Children over 7 and adults: One tablet one to two times daily or as recommended by your healthcare practitioner. Ingredients: Calories 5, Total Carbohydrate 2 g, Sugars 1 g, Sugar Alcohols 0.85 g, Vitamin C (as Ultra Potent-C) 250 mg, Niacin (as niacinamide ascorbate and niacinamide) 20 mg, L-Lysine HCl 9 mg, Citrus Bioflavonoid Complex 9 mg, Tetrasodium Pyrophosphate 3 mg, Alpha D-Ribofuranose 3 mg, L-Cysteine (as monochloride) 2 mg, Glutathione 1 mg.
Other ingredients: Fructose, sorbitol, Ultra Potent-C®† (calcium ascorbate, niacinamide ascorbate, ascorbic acid, sodium ascorbate, magnesium ascorbate, L-lysine HCl, ascorbyl palmitate, citrus bioflavonoid complex, potassium ascorbate, tetrasodium pyrophosphate, alpha D-ribofuranose, L-cysteine HCl, xylitol, and L-glutathione), xylitol, stearic acid (vegetable), natural flavors, citric acid, silica, and niacinamide. Caution: Excess consumption of sorbitol may cause gastrointestinal upset. Keep out of the reach of children. Ultra Potent-C Chewable product is available only from licensed healthcare professionals. 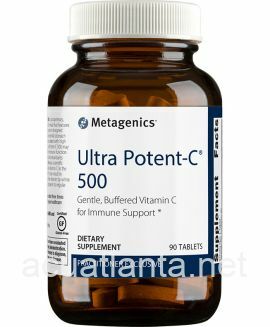 Buy Ultra Potent-C Chewable Online here at AcuAtlanta.net or our clinic. Customer who purchased Ultra Potent-C Chewable 90 tablets Natural Orange Blast Flavor online also bought the following products which may be of interest to you.